Hands-on science and nature exhibits and shows teach kids about the way the world works. 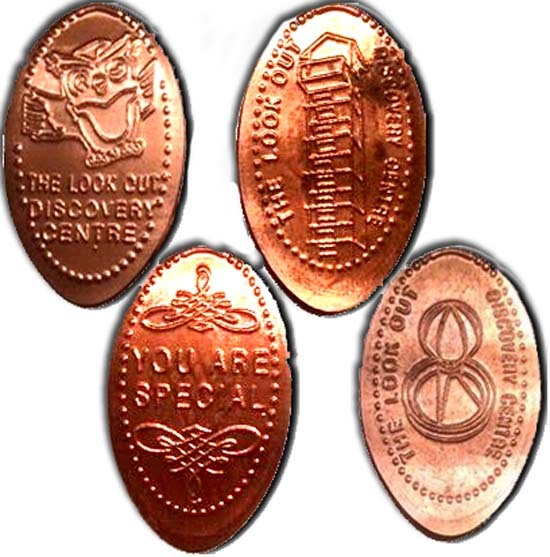 There is a four die penny press machine in the gift shop, each penny costs a £1 to roll. 1) Owl with The Look Out Discovery Centre text. 2) A Pattern with You are special text. 3) A Tower with The Look Out Discovery Centre text. 4) A Logo with The Look Out Discovery Centre text. thegillion added Look Out Discovery Centre to system.